Robert Thomas (Bob) Beattie was born in Liverpool in 1939. 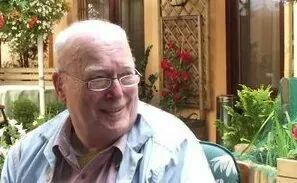 He graduated from Trinity Hall, Cambridge, in Natural Sciences in 1961, and then took a Master’s degree in Psychology at Liverpool University. He moved to Lancaster University Management School in 1969, where he stayed until 1973. This was followed by a move to Ely, and freelance employment with the Civil Service Commission and the NHS in London. When Bob returned to Staffordshire, he worked with Peter Mountain, and was a key member of Mountain & Associates Marketing Services, a management consultancy which was initially located in Newcastle (Staffs), but moved to Keele Science Park. After the company closed down, Bob remained at Keele, and from his offices in the Covert, did some marketing work for Keele. In recent years, Bob played an amazing role informally counselling, advising, encouraging and helping postgraduate students, and there is no doubt that Keele benefited from this. Zak Zarychta recalls that ‘he was always prepared to listen and to offer both advice of a practical and more pastoral nature. He always started such conversations with “So what seems to be the trouble, dear boy?”’ When he decided to move to Ramsgate to be closer to his family, in 2012, the KPA honoured him with a portrait, which hangs over his favourite corner of the clubhouse, and a memorable send-off. In my many conversations with Bob, I found him willing to listen sympathetically and to offer advice that was always supportive, often remarking that ‘the drones are hard at work doing their worst’, when discussing the latest edicts from university administration! In conclusion, it was a pleasure and privilege to have known Bob. My sincere condolences to his family, and to Bob I say ‘rest in peace, thanks, and (in his own words), see you anon’. (I am grateful to Chris Harrison for providing information on Bob’s early years at Keele, and to Zak Zarychta and Stuart Riley for their recollections).